Why is this a special rum? Well, this question can be answered in several ways. On the one hand, the manufacturer decided to go for an unusually long fermentation time here, by giving the mash whole three months of time. 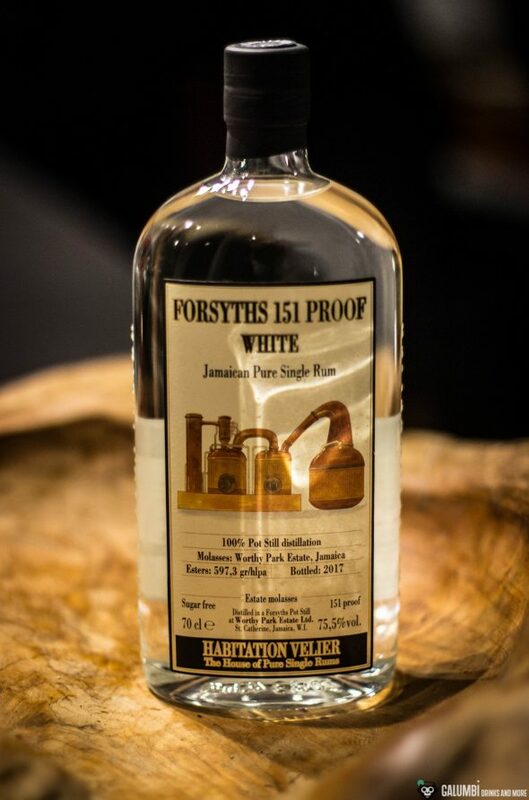 On the other hand, this rum – after it was distilled on the Forsyths Pot Still of the Jamaican Worthy Park Distillery – was filled directly, thus without a further dilution or a barrel maturation, into the bottle at an ABV of (believe it or not) 75.5%. The ester content is labelled as 597.3 gr/hlpa, which is an impressive value and promises some typical Jamaican notes. For a price between 60 and 70 Euro you will get a lot, because of course a further dilution before drinking it will be obligatory for most people (if you dare, you can taste 75,5% vol. without additional water, but I don’t do that based on experience). Therefore, in the end you get more out of that bottle and will have a longer timer to enjoy this rum. White rum may not be everyone’s favourite for neat enjoyment, but I really want to take this opportunity to break a lance for good, white rum. When I think of the Habitation Veritas for example, a smile creeps onto my face. 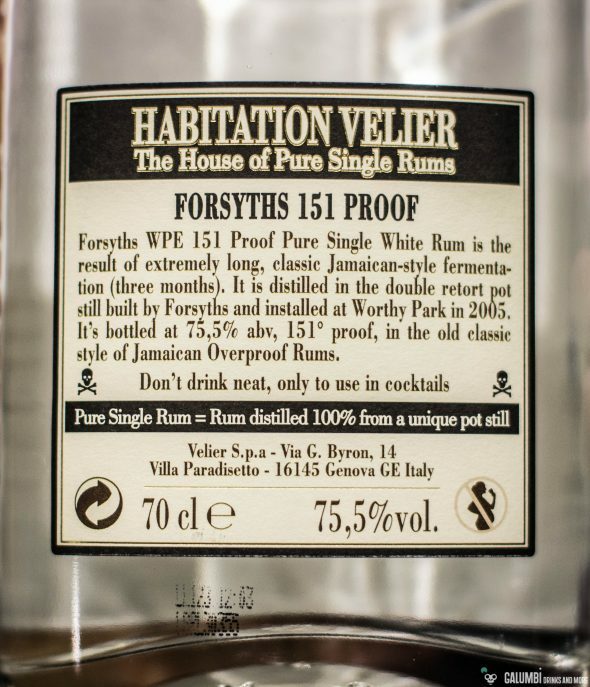 However, of course a rum like the Habitation Velier Forsyths 151 Proof White is also suitable for cocktails. I will give you an example below. First, the tasting notes should speak for themselves. Aroma: Very nice and intense notes of vanilla, coconut and greenish-vegetal sugar cane rise from the glass. The high alcohol content transports the aromas very expressively and convinces me after only a fraction of a second. Then there are the fruit notes to be expected at the indicated ester level: Pineapple, mango, ripe bananas, lychees, fermented pear, there’s a real basket of fruits present here. Behind it, I find some liquorice. A certain alcohol character cannot be denied, but doesn’t bother me in view of the fully aromatic nose. A few drops of water push the alcohol a little more into the background, but the notes of greenish sugar cane come to the fore. In addition, the fruit notes become a little milder and develop more towards the banana and a coconut. Taste: As I am not one of those people who taste a 75.5% rum without water, I have added a few drops accordingly. And wow, that’s what I’d call a bomb of flavours! 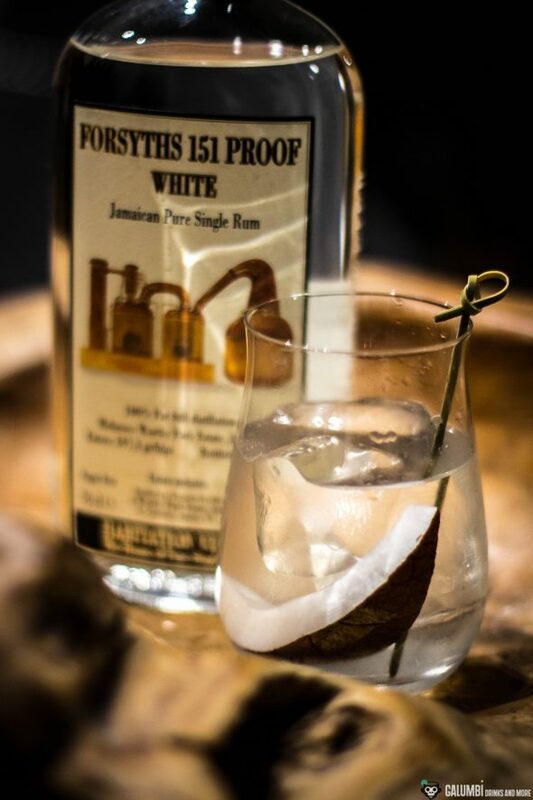 For a white rum, the Forsyths 151 Proof White reminds enormously of a Rhum Agricole. Greenish-fresh sugar cane is apparently everywhere, molasses notes come through over time, but also again notes of fermented fruits, apples, pears, peach, light vanilla and again coconut. Interesting is also a rather salty note in the rum, paired with some tobacco. I really like the rum very much! 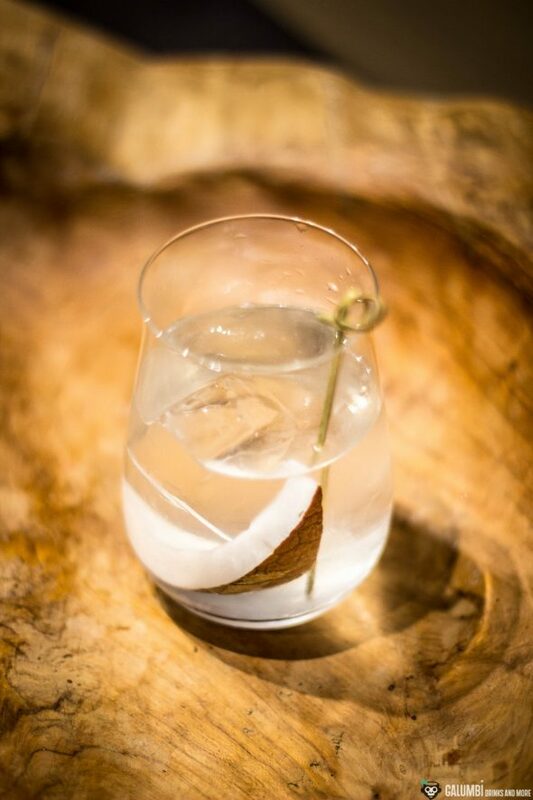 Finish: long, with coconut, fruits and a hint of salt. And in terms of cocktails… well, maybe I’m a little “weird” today. Because the inspiration for my cocktail, which is basically a kind of Old Fashioned in the broadest sense, was the taste of a pure spirit. 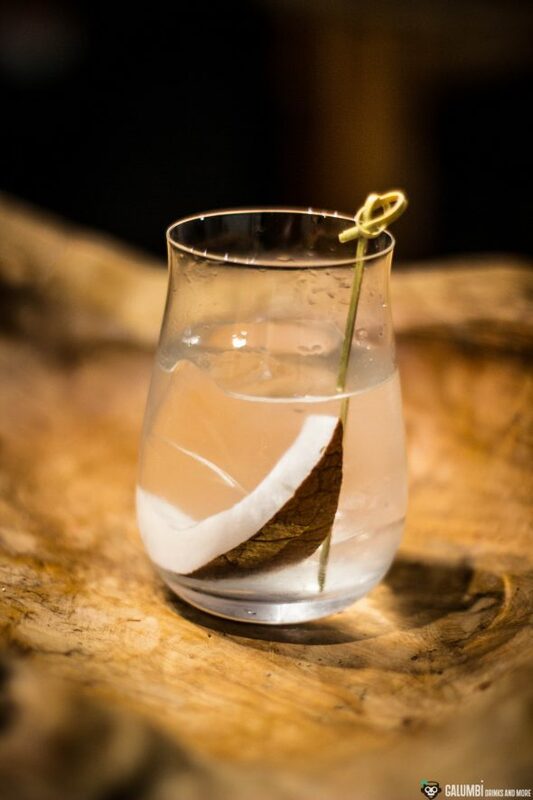 It is not a White Rum Cocktail, it is a drink called „White Rum Cocktail“. Simply because I was inspired by pure white rum to do it. 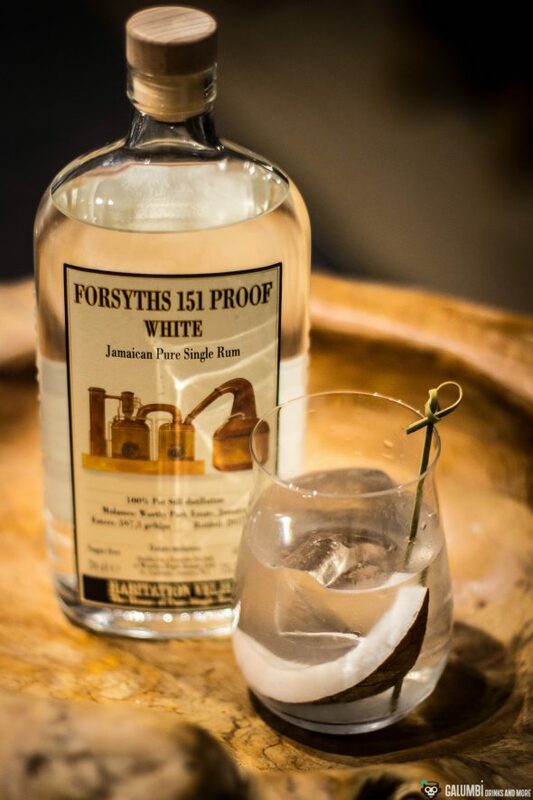 Well, you may ask: why make a cocktail inspired by pure white rum which actually is not pure white rum when you can simply have pure white rum instead? And I have to admit: in theory that would be a knock-down argument. But when you try a sip from my White Rum Cocktail, I hope you will concede „Ok, I got it!“… and have another sip. 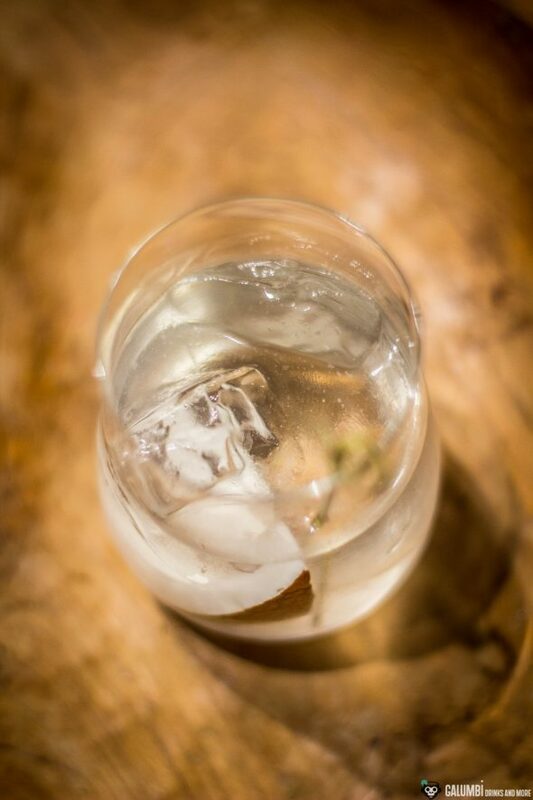 Preparation: Mix the ingredients in a glass filled with solid ice.